Ever thought about what would happen if a muscle car and a crossover SUV combined? The 2018 Dodge Durango is the result. 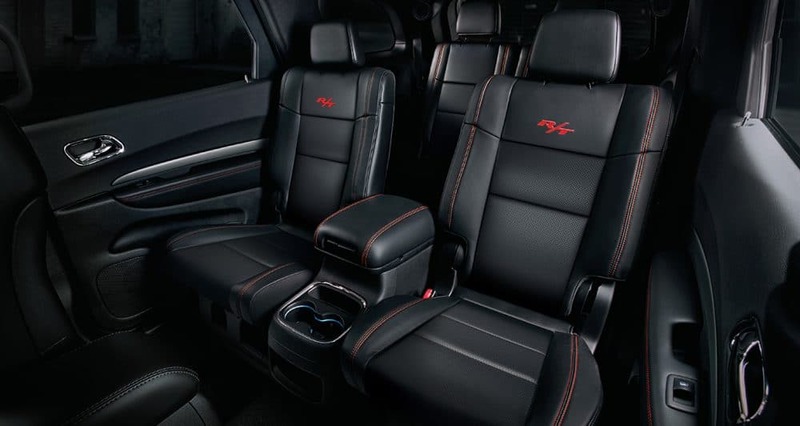 This SUV is powerful, mean, and adds plenty of room for more passengers. The fundamentals of the Durango include the spacious third row, an optional V8 engine, and towing capacity that make this SUV versatile, powerful, and comfortable. New for this model year is the Dodge Durango SRT. This trim comes with a V8 engine that produces 475 horsepower. Other than the SRT, some of the other trims come with a sporty hood that is made perfectly for better engine cooling and to maximize airflow. New standard features are a 7-inch touchscreen interface, Android Auto, a rearview camera, and Apple CarPlay. What are some of the safety features offered? There are many different standard safety features offered with this muscular crossover SUV. Perhaps the most important and impressive feature is the rearview camera. This camera allows for a safer time whenever backing out of parking spots, or even just your driveway. 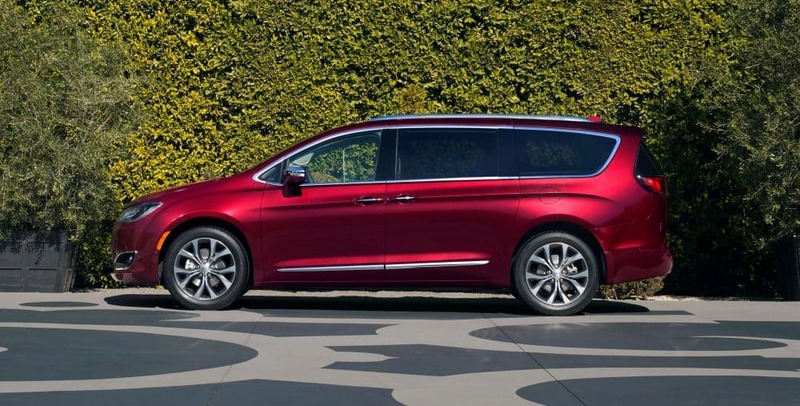 Higher trim options give you rear parking sensors, front parking sensors, lane-keeping assist, blind-spot monitoring with rear cross-traffic alert, lane departure warning, and a forward collision warning system. How many trim levels are offered with the Durango? This impressive and powerful crossover SUV comes in five trim levels, SRT, R/T, Citadel, GT, and SXT. The base trim is the SXT, and offers a 50/50-split folding third-row seat with power-folding headrests, dual USB ports, a 7-inch touchscreen interface, heated mirrors, a 60/40-split folding and reclining second-row seat, a six-speaker sound system, keyless ignition and entry, Android Auto and Apple CarPlay smartphone integration, cloth upholstery, Bluetooth, and a load-leveling rear suspension. The mid-range trim option is the Citadel and includes a navigation system, a power-adjustable steering column, upgraded leather upholstery, HD radio, ventilated front seats, the Uconnect 8.4-inch touchscreen interface, a subwoofer, front parking sensors, a nine-speaker audio system, and automatic high beams. An even higher trim option is the R/T, giving you LED foglights, red accent stitching, a Beats audio system, a sport-tuned suspension, a performance hood design, and an upgraded steering system. What are the powertrain options available? Every engine option for the 2018 Durango comes standard with an eight-speed automatic transmission. Along with the standard transmission is the option to choose between rear-wheel drive and all-wheel drive. 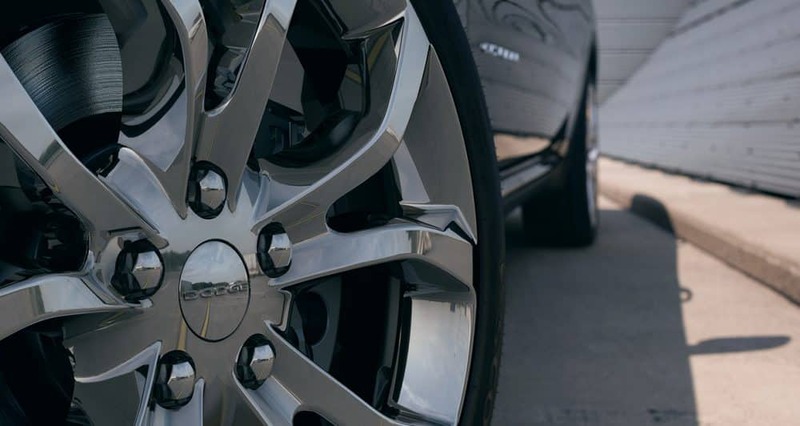 All-wheel drive comes standard with the SRT. Speaking of the SRT, it features the most powerful engine option, the 6.4-liter V8. This V8 creates 475 horsepower and 470 lb-ft of torque. Fuel economy for this engine is 13 mpg city and 19 mpg highway. As for the next highest engine, which is optional for the Citadel and R/T, it is the 5.7-liter V8, producing 360 horsepower and 390 lb-ft of torque. Fuel economy for this particular engine is 14 mpg city and 22 mpg highway. The standard engine is the 3.6-liter V6. This V6 creates 293 horsepower and 295 lb-ft of torque. Depending on whether you choose rear-wheel or all-wheel drive, the fuel economy varies. For the rear-wheel drive, you get 19 mpg city and 26 mpg highway. All-wheel drive gives you 18 mpg city and 25 mpg highway. 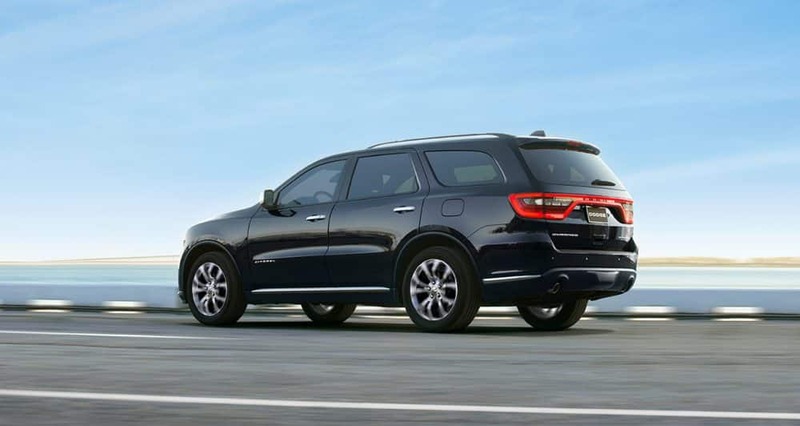 By combining the power of a muscle car with the third-row seating of an SUV, the 2018 Dodge Durango has the best of both worlds. Standard with this impressive vehicle is a V6 engine, with the option to add a V8 engine. Other features include a 50/50-split folding third-row seat, and even Android Auto and Apply CarPlay smartphone integration. Schedule a test drive with us today!